For the second time in three weeks I have gone AWOL, and I am sorry for that. I was hoping that after my last bout of family related drama things would quiet down, but it was not to be. Last week my father was feeling a little funny, and his blood pressure was pretty high, so he went to the hospital. After testing they found that he would need bypass surgery … sooner rather than later. He is doing very, very well, and for all of you out there who took the time to send me little notes of encouragement, or to pray for his recovery, I thank you from the bottom of my heart. We were truly blessed. I have not been at home much as a result, but one morning I had about two hours of free time. 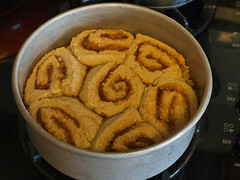 I was craving cinnamon rolls, but with only two hours I would not get them baked before I had to leave. 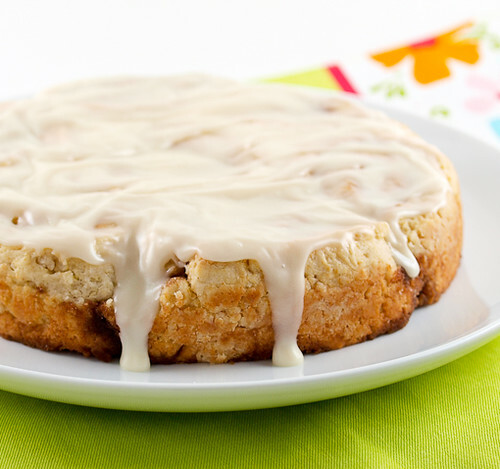 Not willing to abandon my cinnamon roll idea, I did a little brainstorming. 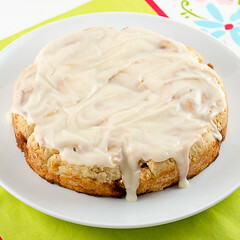 What if I made cinnamon rolls with a biscuit style dough? 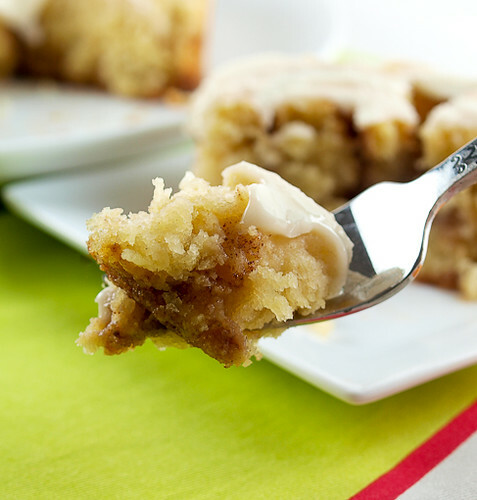 From start to finish these rolls take an hour, so if you need a last minute dessert or breakfast these are perfect. The finished rolls have a buttery, almost coffee-cake texture, and stay remarkably tender after cooling. 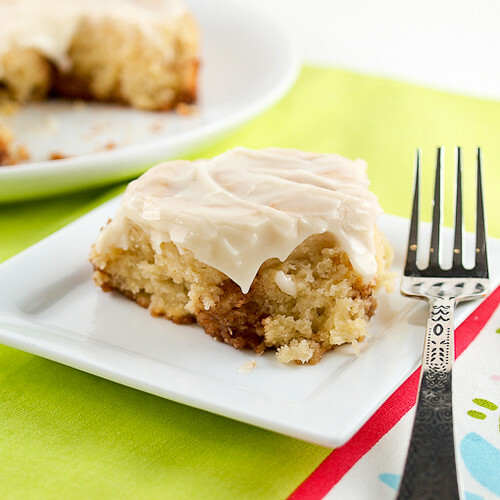 The finishing touch is a little cream cheese frosting. I like the extra flavor and richness it adds to the rolls, plus I just really, really wanted it. Handy side note, you could slice the rolls cake-style and serve as many as 10. People will think you slaved over this, but it is as easy as can be! 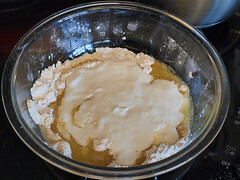 In a medium bowl add the brown sugar, flour, baking powder, baking soda, and salt. Whisk to combine. 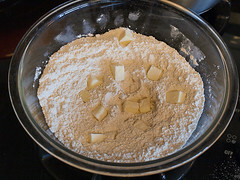 Dice 2 tablespoons of the butter into small cubes and rub it into the flour mixture until it looks like coarse sand. 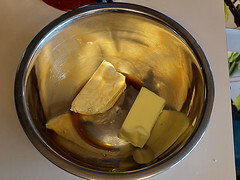 Melt the remaining butter and combine it with the sour cream and milk. 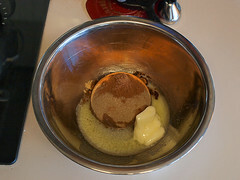 Pour the mixture over the flour and stir until just combined. Set aside while you prepare the filling. 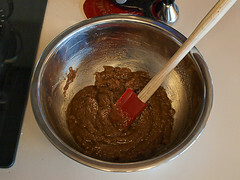 In a small bowl combine the sugar, cinnamon and butter until it forms a smooth paste. 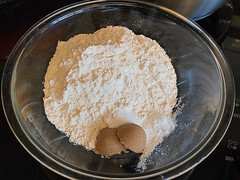 Lightly flour a work surface and turn out the dough. Press it into a rough square that is 1/4-inch thick. 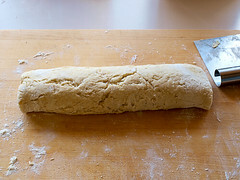 Spread the filling evenly over the dough. 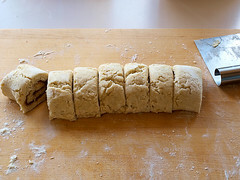 Carefully roll the dough into a log then slice into 1-inch rolls. 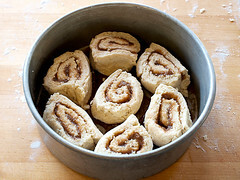 Place the rolls into the prepared cake pan leaving a little room between the rolls for them to expand while baking. 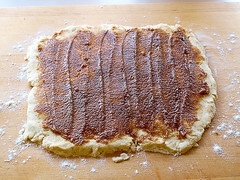 Bake for 20 to 25 minutes, or until the rolls are golden brown, puffed, and spring back when gently pressed in the center. Cool for 5 minutes then turn out of the pan. The easiest way to do this is to turn the rolls out onto a large plate, then place your serving plate on top and flip them over. While the rolls bake prepare the frosting. 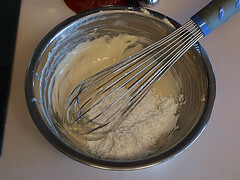 Whisk together the cream cheese, butter and vanilla until smooth. Slowly add in the powdered sugar until the frosting is your preferred thickness. 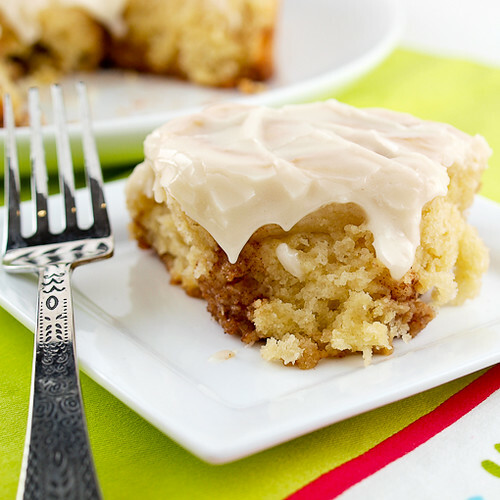 You may add more if you like the frosting more still. While the rolls are still warm spread the frosting over the top. Serve warm or at room temperature.